Are you a great fan of Mystery and Suspense movies? If your answer is a yes, I have good news for ya! A highly recommended Mystery and Suspense film is set to be released on Jan 13, 2014. 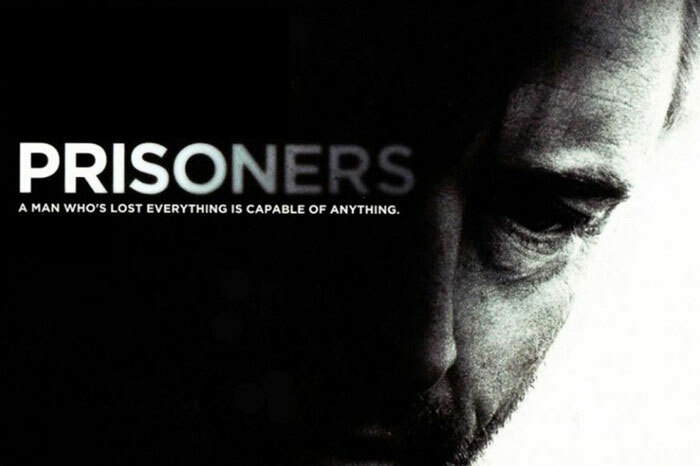 That is movie Prisoners – one of the best films of the year. Maybe you have already planned to buy this DVD and I believe the following tips on how to rip DVD Prisoners will be definitely useful. But if you missed this movie in theatre, don’t worry. Let’s talk about it first and then you can also get the most professional guide to rip DVD Prisoners without quality loss. Prisoners is a 2013 thriller film starring Hugh Jackman, Jake Gyllenhaal, Viola Davis, Maria Bello, etc directed by Denis Villeneuve. It could be a little bit foreign to you at first hearing the director’s name. But if you watched the celebrated movie Incendies nominated for 83th Oscar, you should know him. Movie Prisoners is another tour de force of Denis Villeneuve. Prisoners received positive reviews from critics, which currently has an 81% approval rating on Rotten Tomatoes based on 213 critics. If you decide to buy this DVD, remember the release date. Next, I’ll share you some professional tips on how to copy DVD Prisoners and convert DVD Prisoners to tablet like your iPad or any other handheld devices, such as iPhone, Nokia, BlackBerry, HTC, Samsung and more. If you love collecting DVDs, it’s necessary to rip your DVDs to protect both the DVDs and DVD-ROM from damages especially some precious DVDs. What’s more, as portable devices like iPad become more popular, you can load digital copies of your favorite movies on any of your devices and watch them on the go. I have a great DVD collection and also have plans to put new DVDs like Gravity, The Wolverine, We’re The Millers, The World’s End, Pacific Rim, Elysium, Despicable Me 2 and more to my collection. So it’s a regular job for me to back up DVDs. 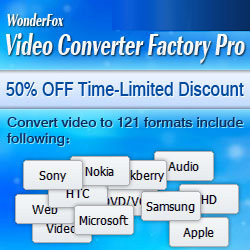 I high recommend WonderFox DVD Video Converter. Why? 1. I’ve used it for a long time and it still works perfect. 2. It enables me copy any protected DVD including the latest encrypted technology DVDs like DVDs with DVD CSS, region code, RCE, Sony ArccOS, UOPs, Disney X-project DRM with very fast speed and excellent quality. 3. it’s more than a toolbox. I use it to convert DVDs and videos including SD to HD, download online videos like YouTube, Facebook, edit my videos and more. The following guide is to tell you how to copy DVD Prisoners step by step. Before loading DVD, you should download the DVD ripping tool and open it. Step 1: Insert the DVD disc into the DVD-ROM and then click “Load DVD”. You are supported to choose which part of this DVD movie you want to convert – Main Movie or All Movies. Step 2:Hit output dropdown list and choose a video format like AVI, MP4, MKV, FLV, MOV, 3GP or a certain device including iPhone 5S, iPhone 5C, iPad mini, Samsung GALAXY S4, S3, Nokia Lumia series, HTC One, PS3, PSP, Xbox, Playbook and any more. Step 3: Click “Run” to start to rip DVD Prisoners with the fastest conversion speed. In the rural New England town of Brockton, Massachusetts, neighbors and friends the Dovers and the Birches gather for Thanksgiving dinner, but by the end of the night, their celebration turns to panic when the families' two youngest daughters go missing. As the hours pass and the girls don't turn up, it becomes terrifyingly apparent they've been kidnapped. After the cops fail to find them, Keller Dover (Hugh Jackman) decides to take the law into his own hands, running up against dedicated Detective Loki (Jake Gyllenhaal). But even as Loki is diligently working against the clock to solve the case, Keller will stop at nothing to get their prime suspect to talk before it's too late.